Monterey County is known for its unmatched scenic beauty - a picturesque rugged coastline, majestic redwoods and lush fields. The awe-inspiring scenery is one of the region’s top attractions and draws millions of visitors to Monterey County every year. With more visitors traveling to the area, the Monterey County Convention and Visitors Bureau (MCCVB) announced today the launch of the Sustainable Moments Collective in partnership with the Monterey Bay Aquarium and local organizations in an effort to preserve and protect this breathtaking destination for generations to come. The Sustainable Moments Collective began this spring as an outgrowth of the MCCVB’s destination-wide initiative - Sustainable Moments. The program initially launched in 2015 as a responsible tourism initiative with a focus on conservation, safety and convenience. 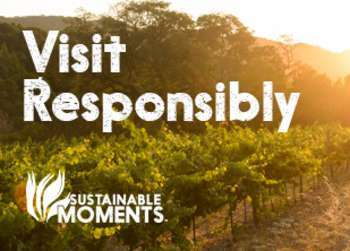 Sustainable Moments was designed to educate travelers on how to make the most of every moment in Monterey County, while at the same time traveling responsibly. The Collective is comprised of organizations that have already begun to pave the way towards a more sustainable future including the Monterey Regional Waste Management District, Monterey Regional Stormwater Management Program, Monterey Peninsula Water Management District, Monterey-Salinas Transit, City of Monterey and Communities for Sustainable Monterey County. 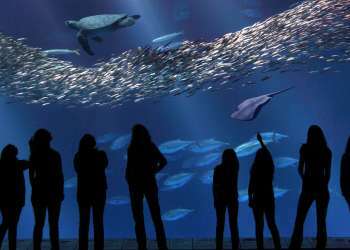 The Monterey Bay Aquarium has been a long-time global leader in sustainable practices and tackling issues that affect the health of our ocean. As the busy summer season approaches, the MCCVB is also launching a targeted advertising campaign and creating content focused on educating and encouraging current, future and prospective visitors to the destination on how to be more responsible and sustainable travelers. The campaign will run in local media outlets as well as drive markets including the Bay Area. The organization will also be creating informational collateral such as table tents and menu inserts that will be available to local hotels, restaurants, attractions and shops during the summer travel season. “We need to make sure that visitors are equipped with the information they need to leave the destination just as pristine and beautiful as they found it for future visitors and those who call Monterey County home,” said Blount-Canavan. As part of the Collective’s efforts, the MCCVB has introduced a Sustainable Moments Showcase on its website that features local businesses whose sustainable practices and efforts help make Monterey County an incredible place to live and visit. To learn more, please visit SeeMonterey.com/sustainable.